The copper stood once at the very basis of communications technology. The POTS (plain old telephone system) dates back 100+ years ago and its design was bas based on the Alexander Graham Bell’s system from 1876. The telephone network was fully bi-directional and had the purpose of carrying long-distance calls, but it was limited to a bandwidth of 300 to 3300 Hz. For those times, the legacy phone system did its job well enough, despite the limited bandwidth. The POTS proved to be very reliable when it comes to delivering voice services. 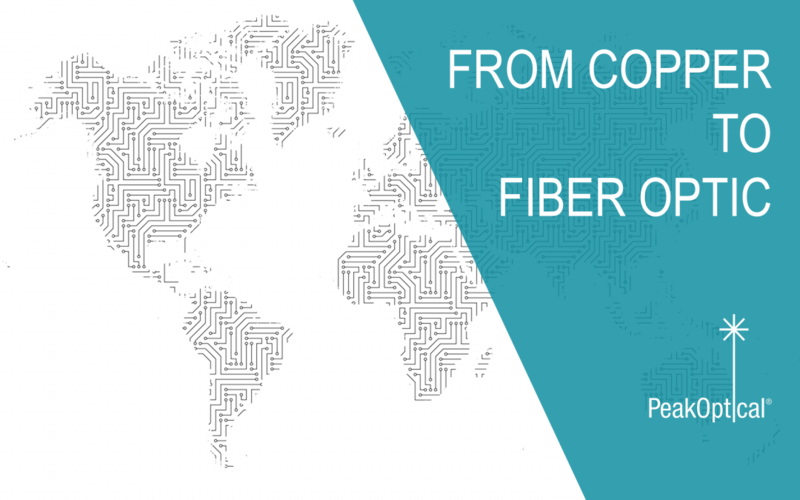 Technology is developing fast and soon telephone companies started using fiber optic for the backbone of their networks. Fiber optic was offering greater speed and capacity; and because the fiber optic system is digital, converting the POTS analog signal was necessary. Once the demand for the Internet increased, the existing telephone network was used to bring it into people’s homes. At first, modems that converted the digital signal to analog was used, but the speeds were VERY slow. Once the ISDN and DSL technologies were introduced in the Internet Protocol (IP) language, the demand for the highest speeds possible for TV, broadband, video, voice and data all together increased considerably. This lead to phone companies willing to completely forget about the POTS all together and switch to an IP-based system.